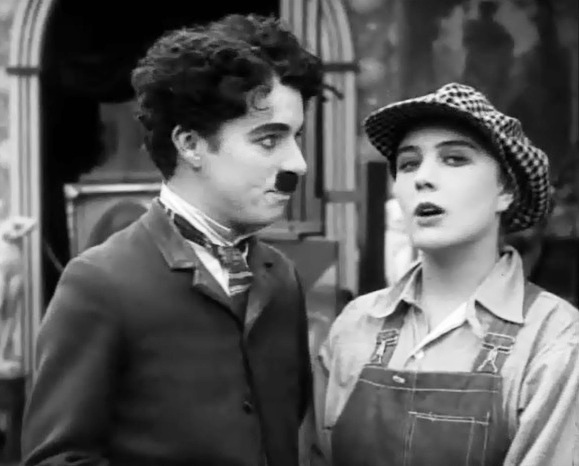 "Behind the Screen" is one of Charlie Chaplin's short comedies, featuring Edna Purviance, a star of Silent Hall of Fame. The film is very entertaining with a lot of action, a typical slapstick comedy. The film enjoys a nice rating in IMDB. 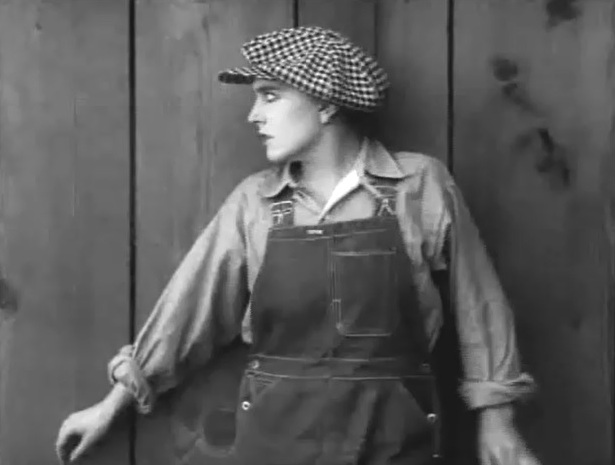 Edna Purviance asks in vain for a job as an actress in "Behind the Screen" (1916). 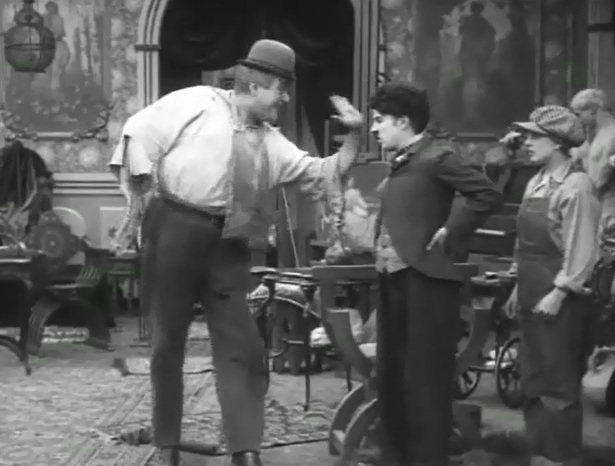 Eric Campbell gives orders to Charlie Chaplin in "Behind the Screen" (1916). 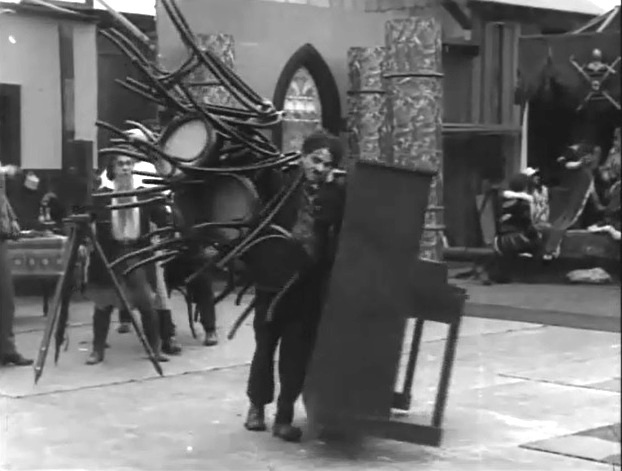 Charlie Chaplin is in charge of the heavy lifting in "Behind the Screen" (1916). 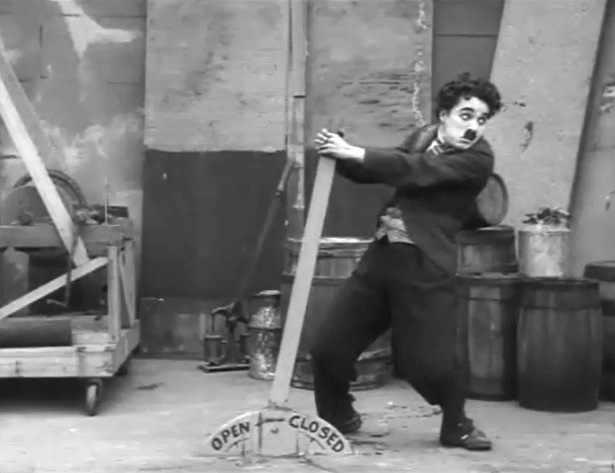 Charlie Chaplin is overworked in "Behind the Screen" (1916). 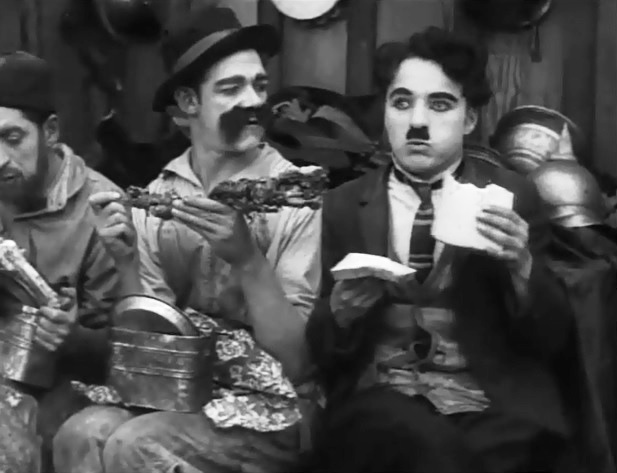 Albert Austin and Charlie Chaplin have a lunch break in "Behind the Screen" (1916). Edna Purviance wants badly to become an actress in "Behind the Screen" (1916). 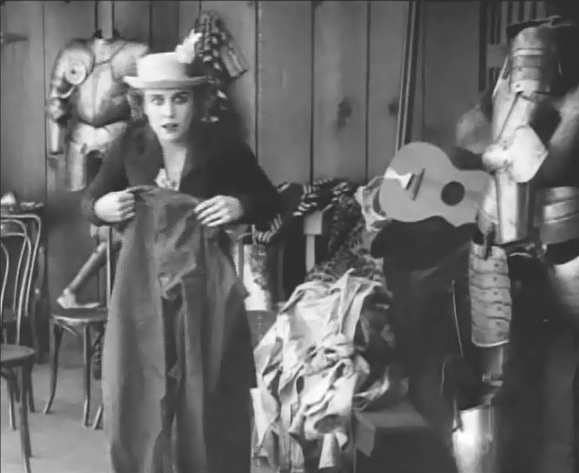 Edna Purviance puts on man's clothes in "Behind the Screen" (1916). Charlie Chaplin works on stage in "Behind the Screen" (1916). 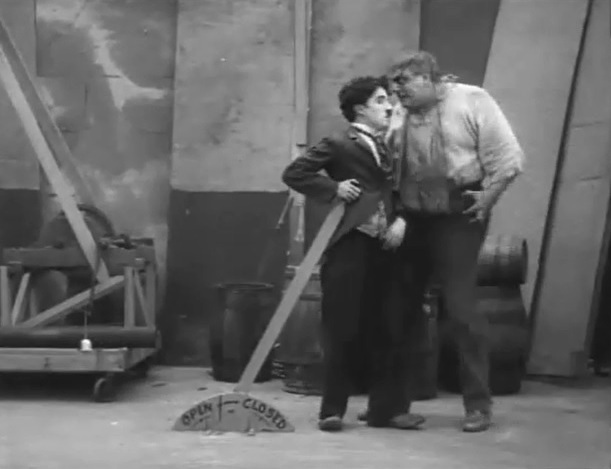 An unhappy Eric Campbell confronts Charlie Chaplin in "Behind the Screen" (1916). 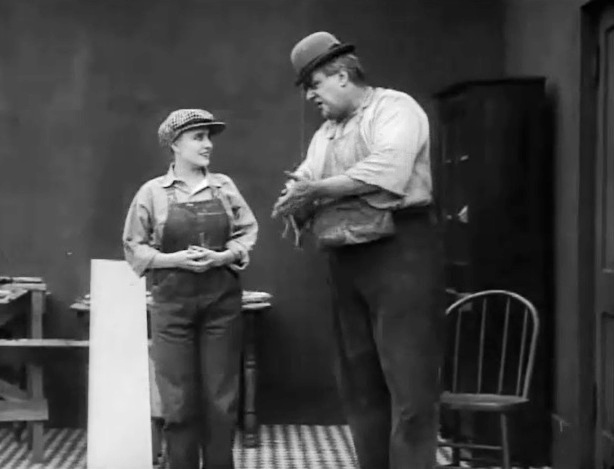 Edna Purviance is hired to help Eric Campbell in "Behind the Screen" (1916). 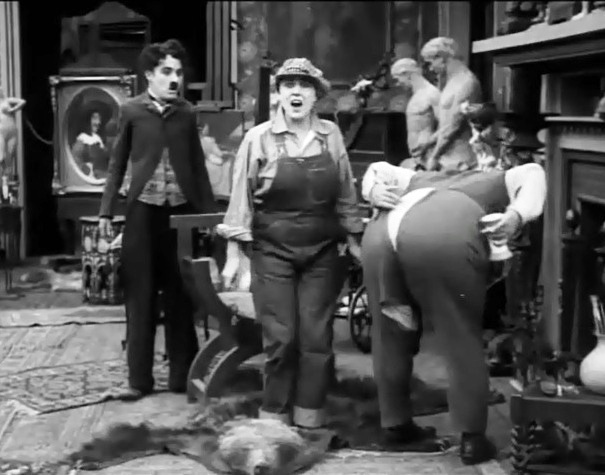 Edna Purviance has trouble keeping the secret from Charlie Chaplin in "Behind the Screen" (1916). 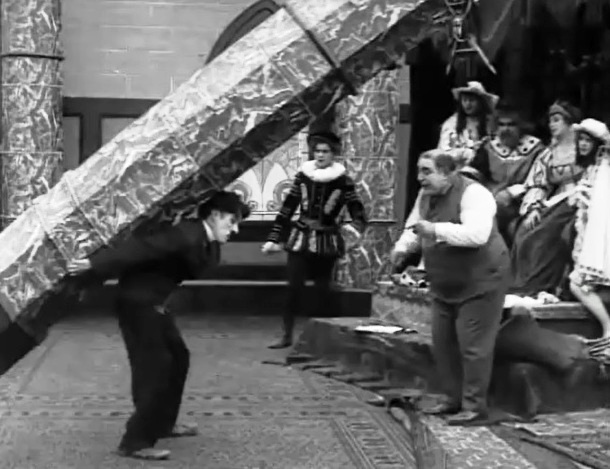 Edna Purviance faints as Charlie Chaplin looks on in "Behind the Screen" (1916). Charlie Chaplin sees Edna Purviance's secret in "Behind the Screen" (1916). 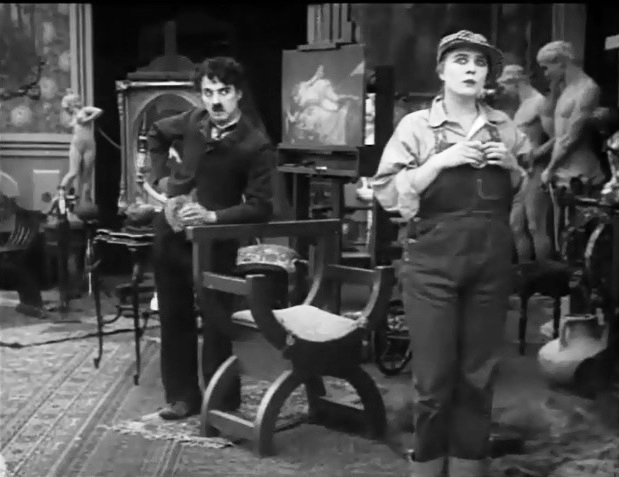 Edna Purviance's secret is exposed by Charlie Chaplin in "Behind the Screen" (1916). 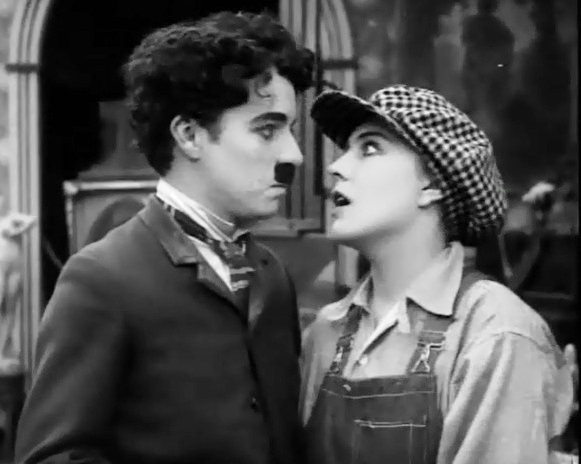 Edna Purviance is a girl and that's OK with Charlie Chaplin in "Behind the Screen" (1916). 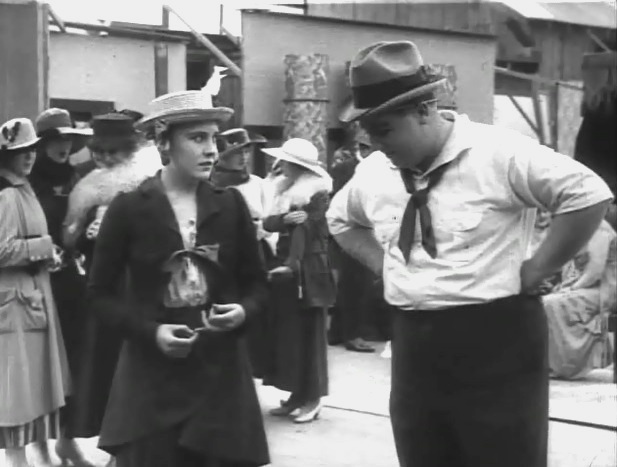 Edna Purviance and Charlie Chaplin discuss the problems of humankind in "Behind the Screen" (1916). 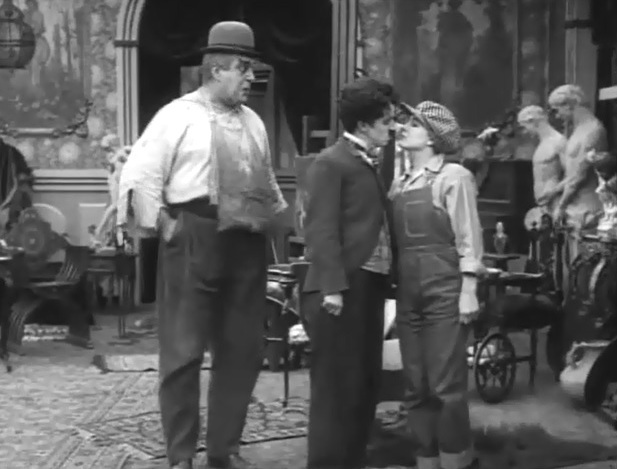 Eric Campbell sees Edna Purviance and Charlie Chaplin kissing in "Behind the Screen" (1916). 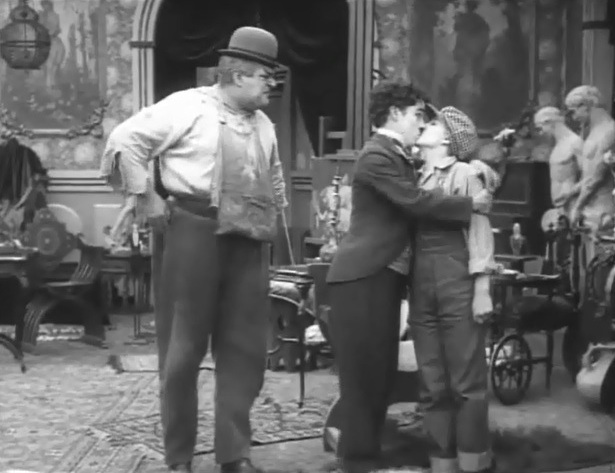 Eric Campbell is surprised to see two boys kissing in "Behind the Screen" (1916). 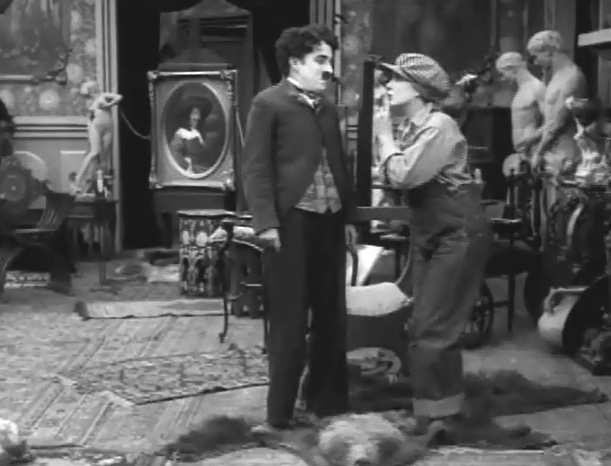 Eric Campbell makes a pass at Charlie Chaplin as Edna Purviance looks on in "Behind the Screen" (1916). 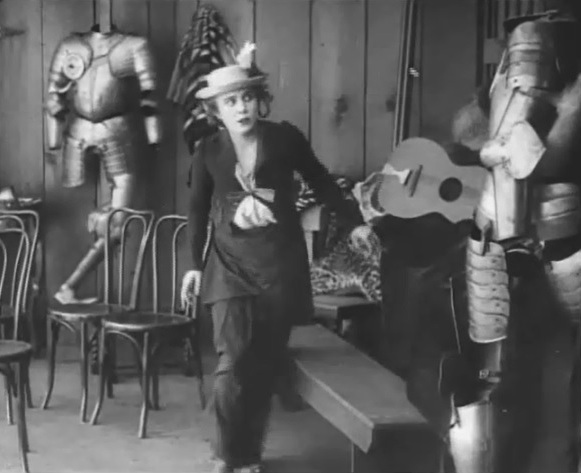 Edna Purviance is in trouble in "Behind the Screen" (1916). 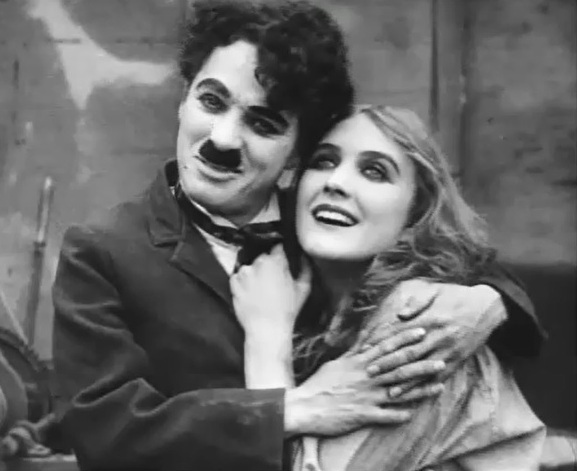 Charlie Chaplin and Edna Purviance find a happy end in "Behind the Screen" (1916).